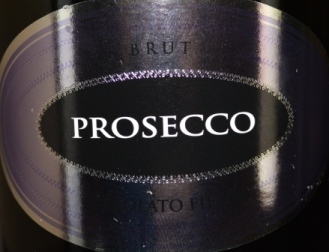 I knew this would be a fun buy – Organic Prosecco at Costco for $8.99; it’s hard to go wrong. And this bottle is exactly what you’d expect. I don’t see much of a reason to go further upstream from here for an every day bubbly. Nice fruit; citrus flavors, apple, pear. Dry finish as expected, very crisp and refreshing. Awesome before, during or after a meal. Prosecco is made from the Glera grape, one that we covered in our new book on Italian wine. (Yes, a plug, but if you want to dive deeper into this and other Italian wine/culture topics, give the book a shot).